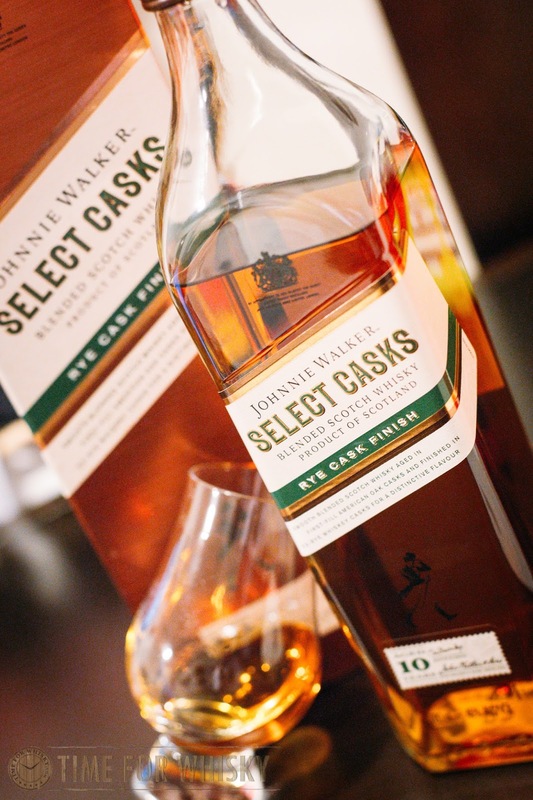 Bucking the NAS movement, a limited edition 10 year old Johnnie Walker "Rye Cask Finish" was released in Australia in August 2016 as part of Jim Beveridge's recent take on experimental blends. Jim's "Blenders Batch" series is also being released this month - though we'll post separately on that particular series. The Rye Cask Finish takes its name not from the fact that it is a rye whisky, but rather a blended Scotch whisky that has been finished in ex-rye whiskey casks for six months. Being Cardhu-heavy, the Rye Cask Finish shares some of the soft and earthy notes of Cardhu malt whisky. Bottled at a higher than average 46% ABV, the Rye Cask Finish packs a punch above the rest and offers an enjoyable notes throughout. I have to say, this would have to be one of my preferred Johnnie Walkers - a delicious concoction of bittersweet notes that delivers a level of complexity from the nose to the palate to the finish. An enjoyable dram for any night of the week (especially at the current price point). Nose: The nose is fresh and crisp. It is laden with molasses, sweet orange syrup, peppermint tea, creamy vanilla and toasted wood chips. Palate: The palate is fruity and sweet with a bitter undertone. Creamy vanilla mashed with orange and pineapple juice and then lapped with some bitter melon. The spices that follow are subtle yet lingering and drying. The palate is nice, balanced and complex. Finish: The finish is long and drying. There's a big trace of the bitterness that's left on the palate as the notes dry up.